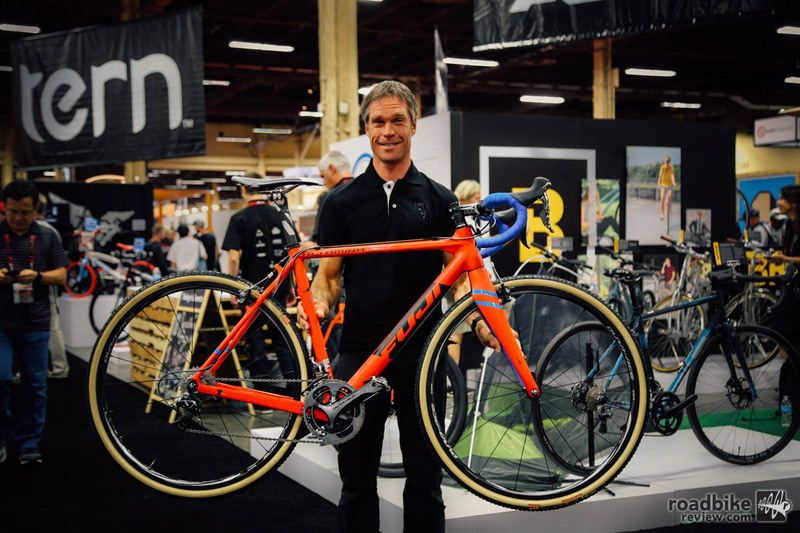 Jonathan Page and his customized Fuji Altamira. Jonathan Page spent the majority of his career racing in Europe, going bar to bar with the world’s best cyclocross racers. For much of that time, he was the lone American competitor based in Europe full time. Today, Page remains the only U.S. male to stand on the elite podium at a world championships. In addition to winning a silver medal at the 2007 World Champs, his resume includes four U.S. National titles. Disc brakes have their place, but cantilever brakes are lighter and easier to travel with, says Page. 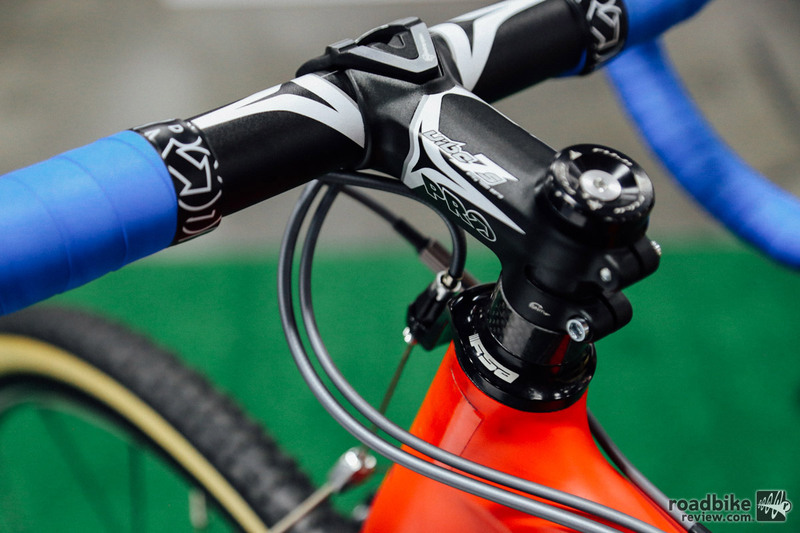 Page’s race bike of choice is a Fuji Altamira CX1 outfitted with a mechanical drivetrain and cantilever brakes. That may sound retro, but Page claims this setup (versus one with disc brakes) is easier to travel with and is a touch lighter. 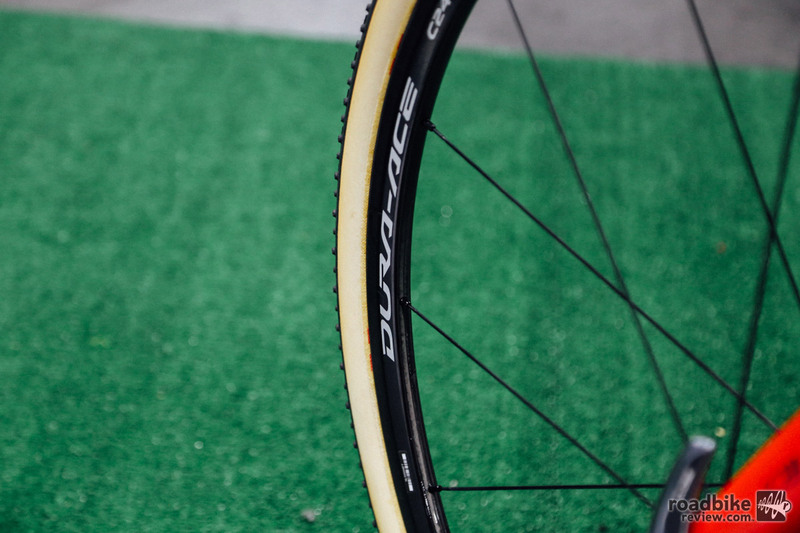 Depending on the conditions or course, he may reach for disc brakes, but this year his race bike is all about simplicity. 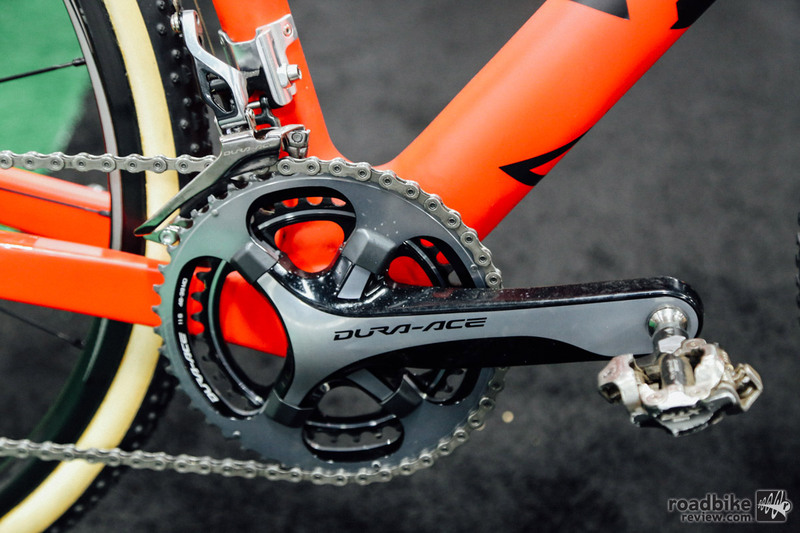 Page raced with a Shimano Di2 drivetrain last year, but has made the switch to a full mechanical drivetrain this year. 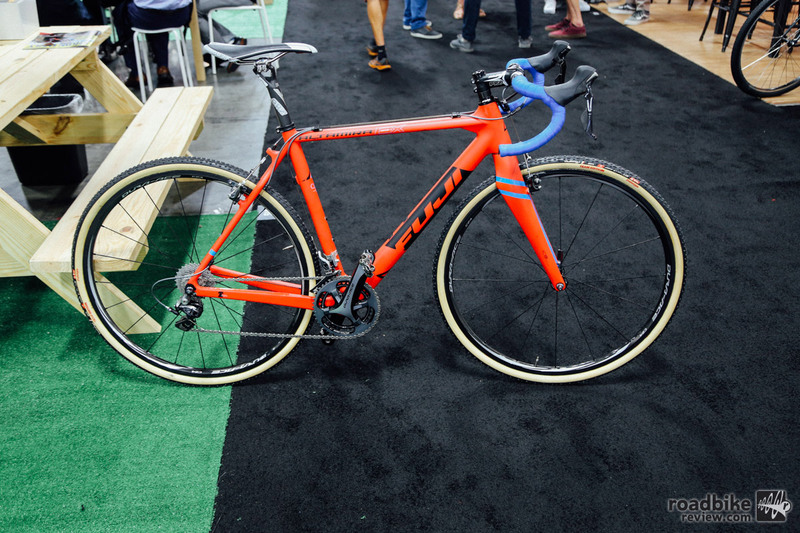 If you browse the Fuji website, you’ll notice they don’t offer a canti-equipped version of the Altamira. That’s because you can’t buy one. This Altamira is not like the others. It’s spec’d specially for Page. Page’s bike is a custom built one off with the same geometry as the disc version. 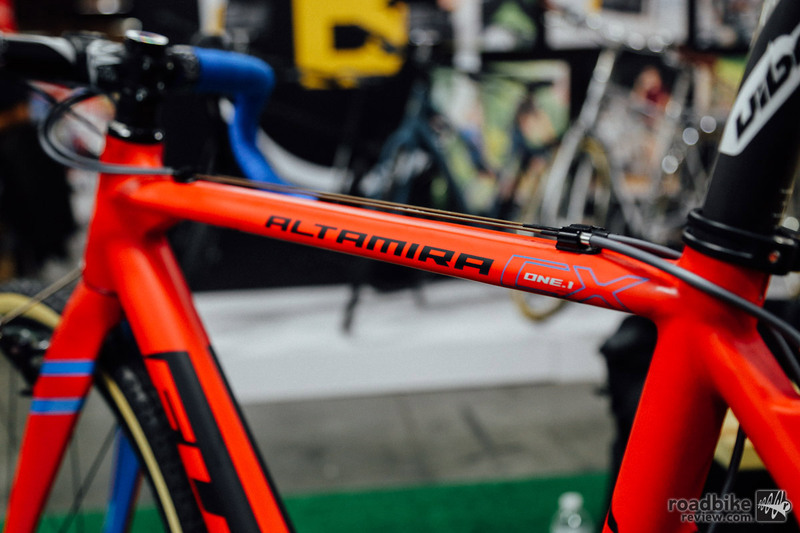 Unlike the old canti version, this Altamira has a higher bottom bracket to help reduce pedal strikes in off-camber sections or while cornering. A smaller frame and compact bar ensure lively handling and a more upright riding position. It’s also interesting to note that while Page is 5’10, he’s riding a size 52cm frame with a relatively short stem. He tends to prefer a smaller bike because it feels more lively. And that stem? He puts that down to old age. He’s fast approaching 40 and claims that as he gets older, its become progressively more difficult to bend over. 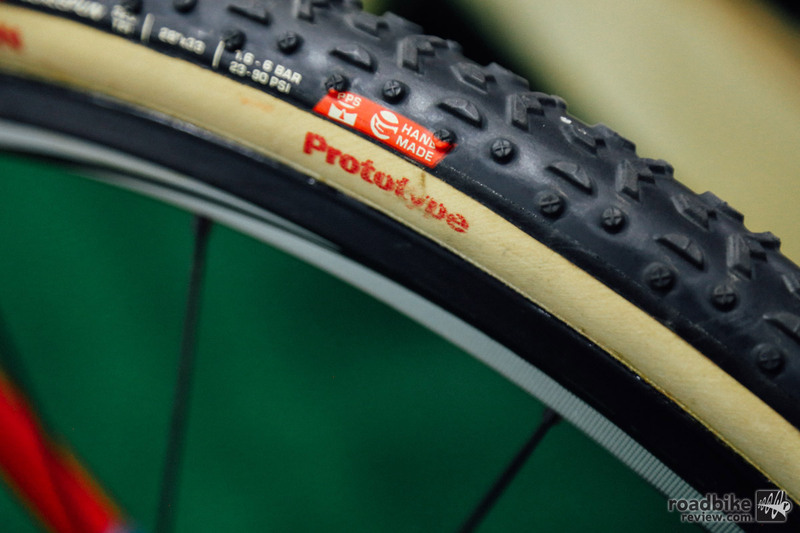 If you’re Jonathan Page, you ride custom frames and prototype tires. The rest of the build is relatively straightforward. It’s finished with the best (mechanical) bits Shimano offers and fancy Challenge tires. Page tapes over the bottle cage bosses. This keeps his elbows bruise free and prevents dirt/water from getting into his frame. One neat trick on this build is the taped over bottle cage bosses. Page developed the trick because he was tired of hitting his elbow on the bolts when shouldering his bike. This little hack keeps his elbows safe and prevents dirt and water from entering the frame. The theme of Page’s race bike is simplicity. Overall, what sets this bike apart is the simplicity. 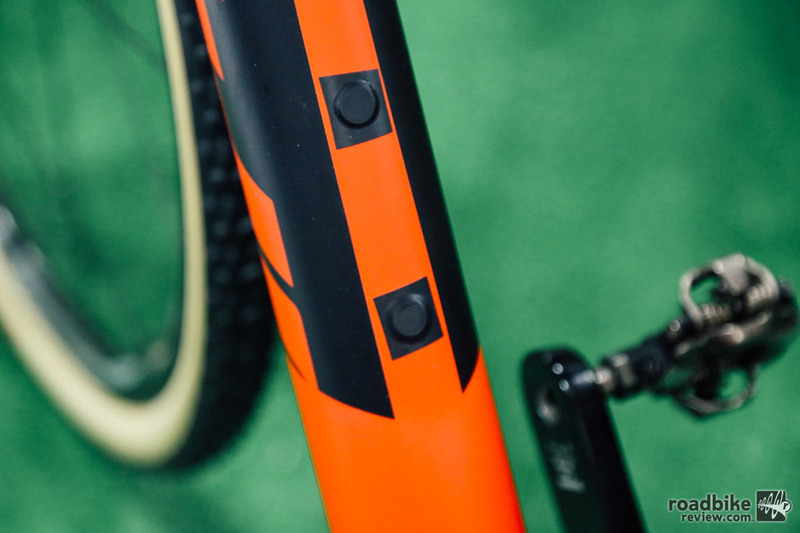 It’s utilitarian, which is perfect because that’s what cyclocross is all about. Jonathan Page with his custom Fuji Altamira. 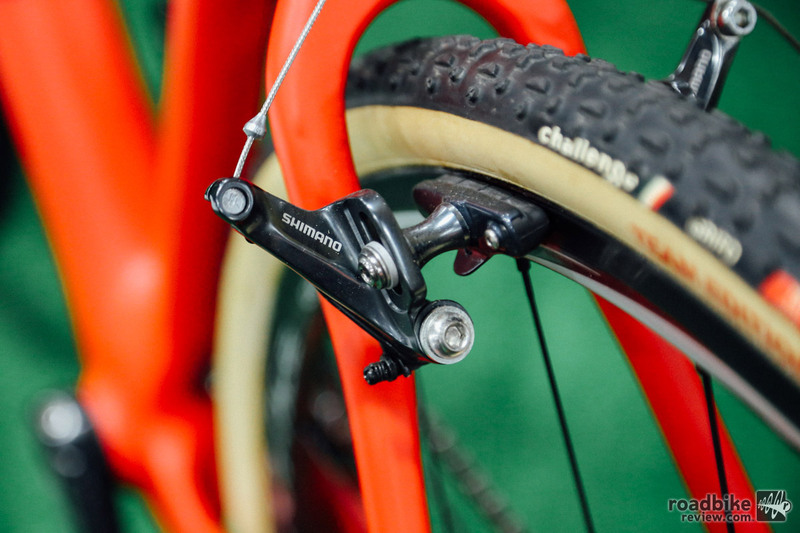 Disc brakes have their place, but canti brakes are lighter and easier to travel with. Page raced with a Di2 drivetrain last year, but has made the switch to a full mechanical drivetrain this year. This Altamira is not like the others. Page removes the water bottle bottles and tapes over the bosses. This keeps his elbows bruise free and prevents dirt/water from getting into his frame.